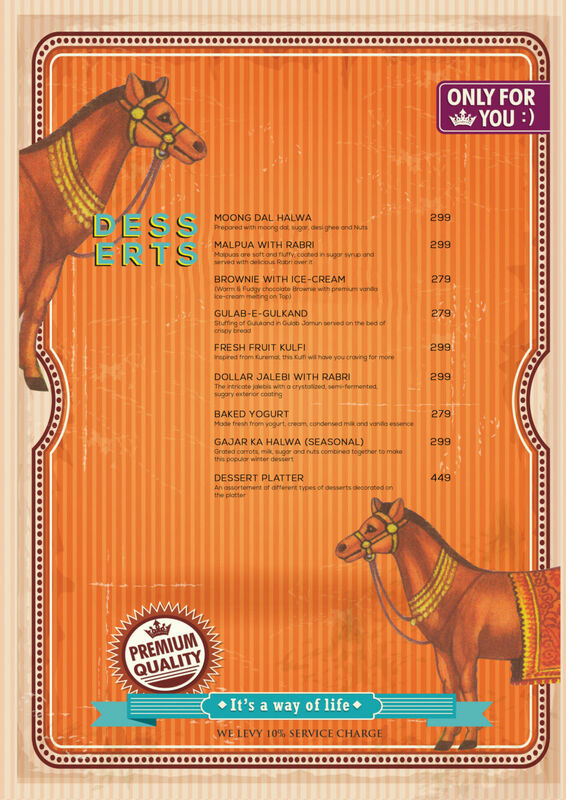 This fast-casual restaurant is located on the ground floor, Chiranjivi Tower, Nehru Place, New Delhi. It consolidates vegetarian dishes all over the world and presents it on your platter in an Indian way. It is the right mix of finest spices with modern gastronomy that presents an impeccable combination, tantalizing your taste buds to the fullest. If you are confused to choose what to start, the do try ‘Ram Ladoo’ and ‘Stuffed Mushroom’. Do try the ‘Corn Spinach Momos’ with ‘Kolkata Chowmein’ if you prefer Chinese food. ‘Gulabi Phirni’ is a perfect end to your meal. This is a decent vegetarian restaurant which is also priced reasonably. The ambience is not fancy but is clean. The quality of food is good but service could be better. 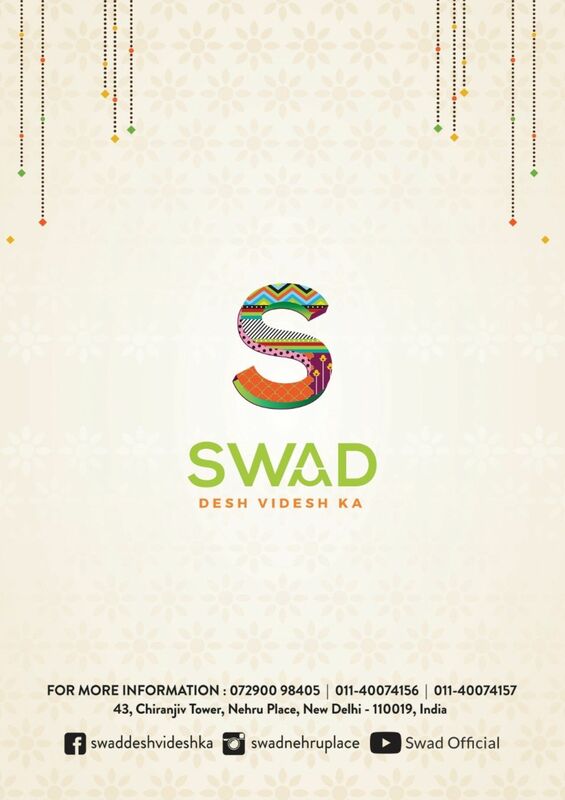 Swad means tasty in Hindi and this restaurant totally justifies its name. Their food is truly tasty and not just a few dishes but almost everything they have in their menu. We generally go for their North Indian food but the few times I had Italian or Chinese food there, I was quite impressed. It also has a very colourful and vibrant ambience making it a good place for a get-together. 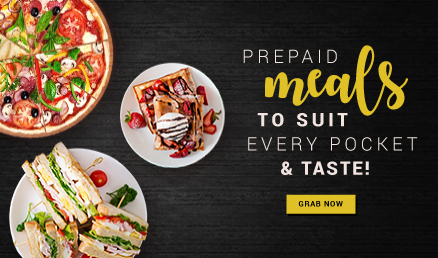 Nehru place is evolving as one of the best places to visit for food lovers. 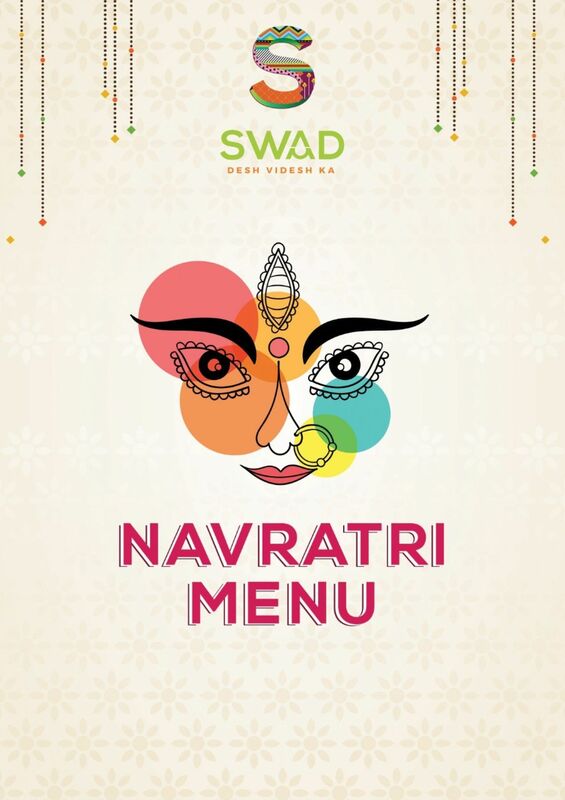 Swad is one such restaurant which offers multiple cuisines under one roof. The place has colourful interiors with huge seating space. 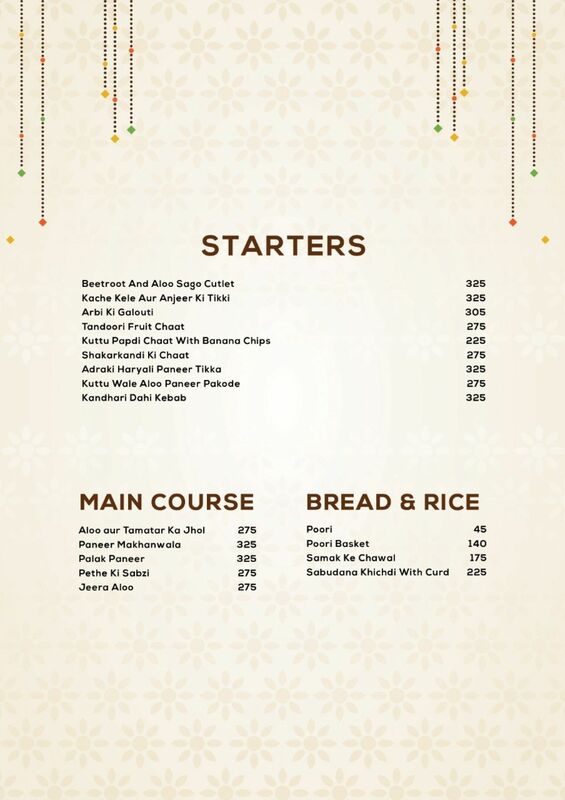 They serve Indian, Chinese, Continental and other dishes along with desserts. 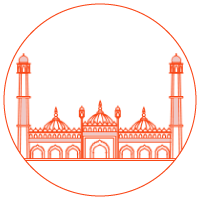 We tried their Indian cuisine. The Indian curries tasted good and the breads were cooked well. The portions are decent. Tried a few desserts which tasted average. They could improve upon that. This is a good option for pure vegetarians. 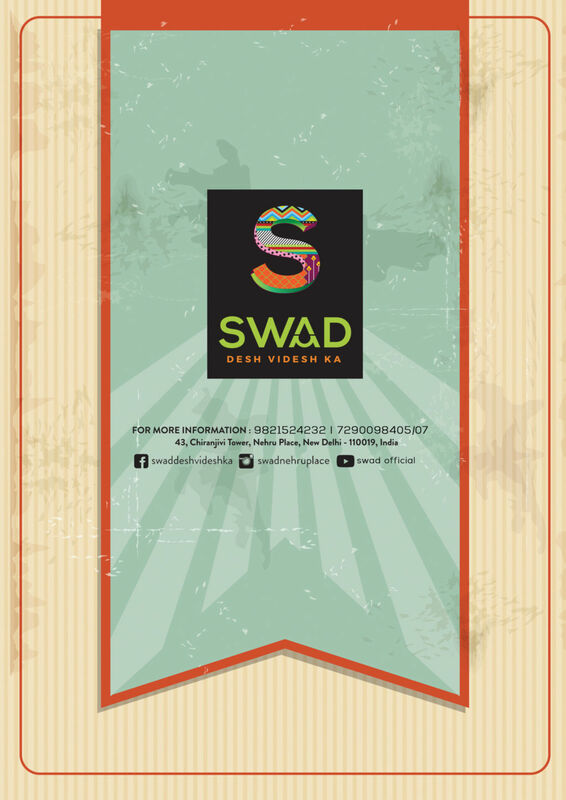 Swad offers delicious food and great ambience. 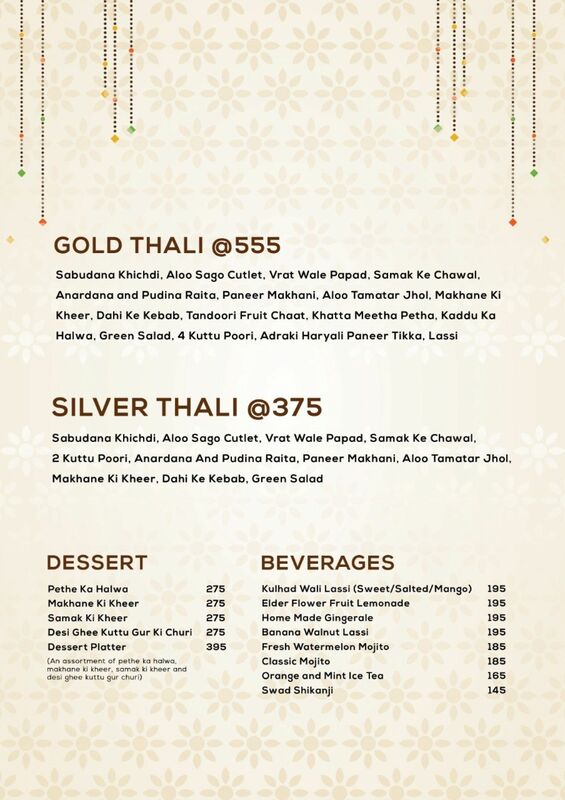 Highly recommend the Dal-e-swad, Kadhai paneer and the Chaat platter. This is an awesome place for vegetarian dishes. The food is lovely and quite fresh. The sorroundings are super and totally awesome.